Volkswagen is considering building a factory in Europe to produce solid-state batteries, a next-generation battery technology, to power its electric vehicles, according to a report from earlier this month. The news comes on the heels of Volkswagen's June investment of $100 million in QuantumScape, a solid-state battery startup. The big picture: Solid-electrolyte batteries gained prominence in the lab a decade ago, but are just now achieving the cell performance to make the automotive industry take notice, with Volkswagen specifically citing performance demonstration "at automotive rates of power." As the technology develops, there has been a flurry of international development interest: Toyota, Nissan, Dyson and BMW have all made similar investments. Over the past 30 years, voltage and electrode-capacity increases have improved the performance of lithium-ion batteries and lowered their cost. 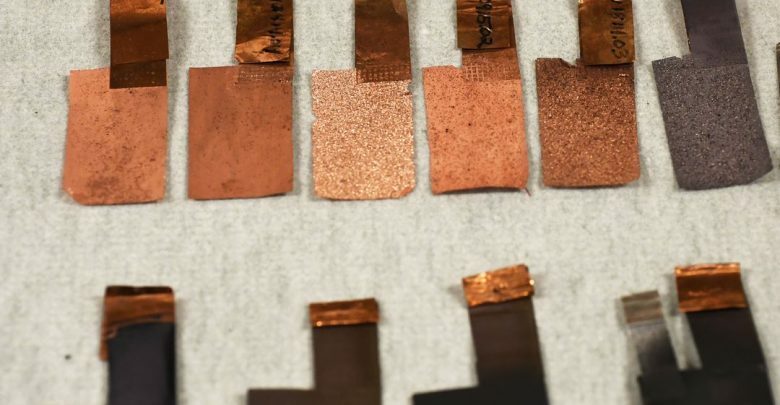 But at the heart of current lithium-ion batteries is a highly flammable liquid electrolyte — the material that conducts lithium ions between electrodes during charging and discharging. This electrolyte poses an inherent safety risk, which is exacerbated by higher energy density and tighter manufacturing tolerances. Solid-electrolyte batteries promise to enhance performance without the safety trade-off. In order to be cost-effective, they also require a dramatically different manufacturing system and supply chain, opening up an opportunity for companies that can’t otherwise compete at the scale of the behemoth Asian plants that now produce most of the world's lithium-ion batteries. What to watch: The business opportunities presented by solid-electrolyte technology, in addition to its safety benefits, have inspired the U.K., the EU and Japan to initiate consortia to capitalize on its economic potential. It remains to be seen whether the U.S. will do the same. Eric Wachsman is the director of the Maryland Energy Innovation Institute at the University of Maryland and founder of Ion Storage Systems, which is developing solid-state battery technology.